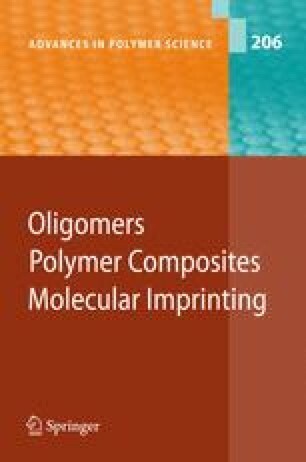 This review summarizes nearly 400 references (since 1990) intended to highlight directions on thesynthesis of telechelic oligomers and macromonomers by radical techniques. This review first takes intoaccount the recent developments in further conventional radical polymerizations, such as dead-end polymerizationand also telomerization reactions. Among all the conventional radical polymerizations, addition–fragmentationtransfer (AFT) polymerization realized a real breakthrough for the synthesis of telechelic oligomersand especially for macromonomers by coupling AFT with catalytic chain transfer. Then, surveys concerningtelechelic oligomers and macromonomers prepared by living radical polymerizations are mentioned. Atom transferradical polymerization, nitroxide-mediated polymerization, reversible addition–fragmentation chaintransfer polymerization and also iodine transfer polymerization allow for accurate control of chain-endfunctionality, either a functional group or a double bond. Novel reactions like radical couplingof oligomers previously obtained by living radical polymerizations are enhanced.